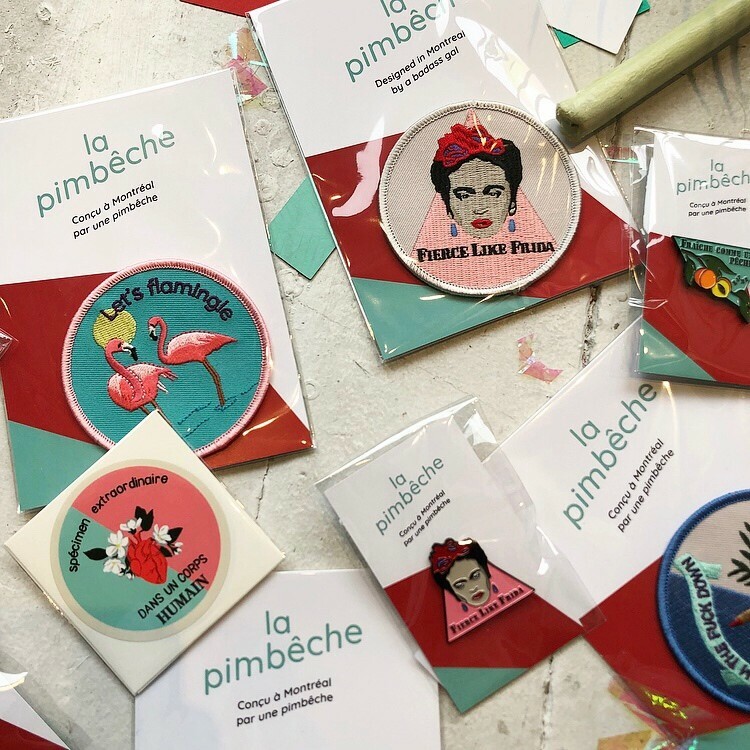 Get to know our Mile End Winter artist, Patricia of La Pimbêche. How would you define yourself as an artist? How would you define your work? I define myself as a creative individual. I am passionate about human relationships, and especially women empowerment. I started to paint feminist artwork inspired by political movements, stereotypes and women’s sexual empowerment with sarcasm and badass tag-lines. 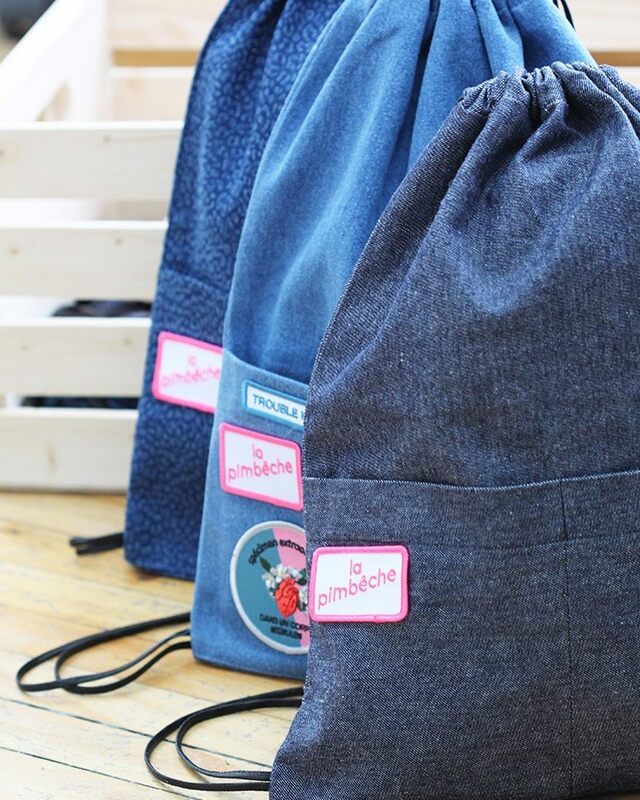 It felt so natural to create those art pieces that it became the beginning of La Pimbêche. The ultimate goal is to be part of a positive change in society. What inspires you to create ? What mainly inspired me is our society culture, our current and up coming generations. I’d like gender equality to be common sense in our society. I want all women to f*cking own it, to be fierce like Frida and to never have second thoughts like “what would they say”. I want all genders to be part of the feminism movement so we can live in a world of acceptance. That’s what drive me the most. Do you have other artists or creatives you’ve been influenced by or find inspiration from? I would say that strong women icons are my greatest inspiration. There’s a lot of amazing modern women that support the same beliefs as La Pimbêche feminism. Chelsey Handler, Emma Watson, and Beyoncé, are some of my favorite modern feminism women that convey a strong message of confidence, acceptance and equality. I work with few medium such as acrylic paint or Illustrator. My creative process is quite simple; when I have an idea I sketch it and then either paint or draw it. A lot of your work has to do with feminism and speaking out as a woman - do you feel that that is important to you as a female artist ? Yeah, totally, La Pimbêche was born with the intention of supporting feminism and speaking out as a woman in our society. What do you want people to take from your work? How do you want to influence other artists? I mainly want people to enjoy the meaning of my art work. They may feel offended or they may find it funny. But the most important is to trigger thoughts and actions toward gender equality. 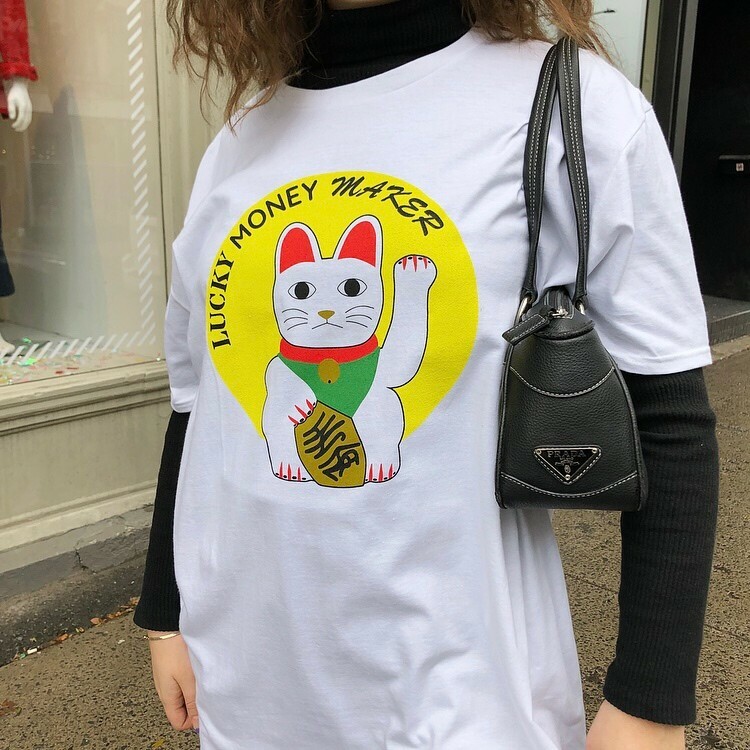 How do you combine your art with fashion? Do you feel like fashion has a lot to do with your work? I’m using vintage denim jackets as a canvas. I wouldn’t define myself as a fashion design since I don’t alter garment, I paint on directly on the fabric. Painting on denim is an extension of my art series. My objective is to have my messages traveling from one jean jacket to another, it’s as simple as that. Favorite piece of clothing you currently own? 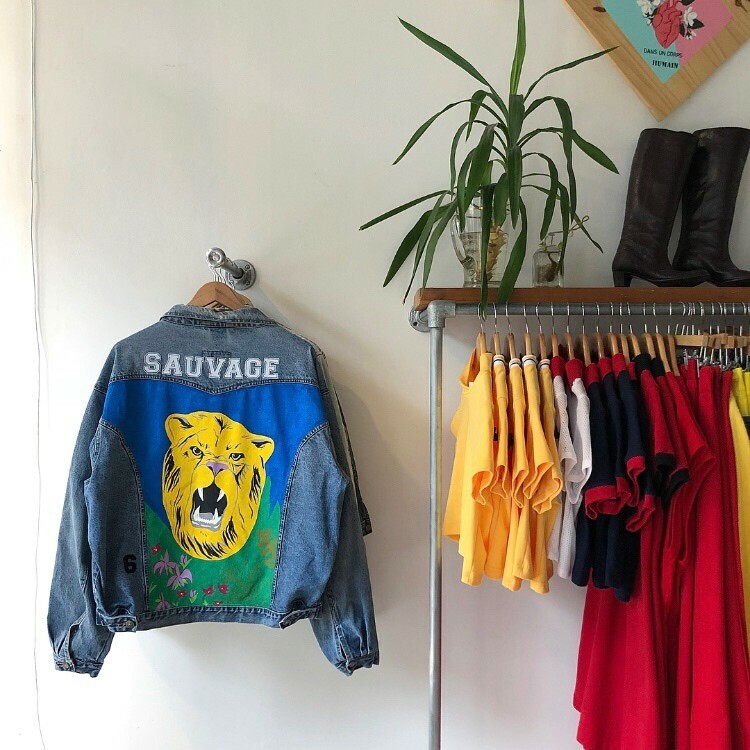 My SAUVAGE jacket is The bomb ! Come check out the art at our Mile End store ! Studio Sale! Back for November!